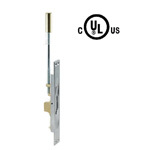 ● UL Listing: UL Listed – 3 hour Fire Rating. 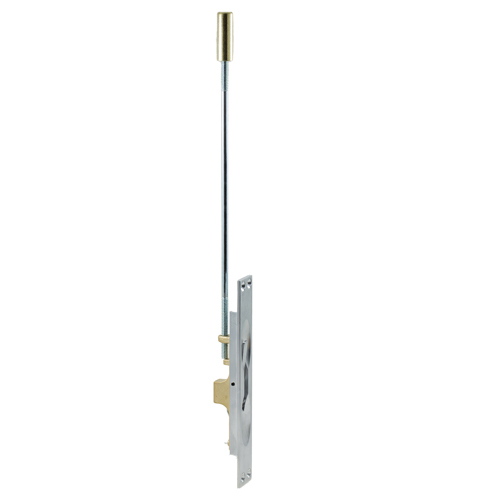 ● Finish: Standard finish US26D (Satin Chrome Plated): no MOQ requirement. 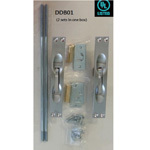 Other finishes (US3, US15, US5, US26, US10B) are available upon request, however, require MOQ 2,000 sets for each sku. ● Customer logo is accepted, however, OEM order requires MOQ 2,000 sets for each sku. 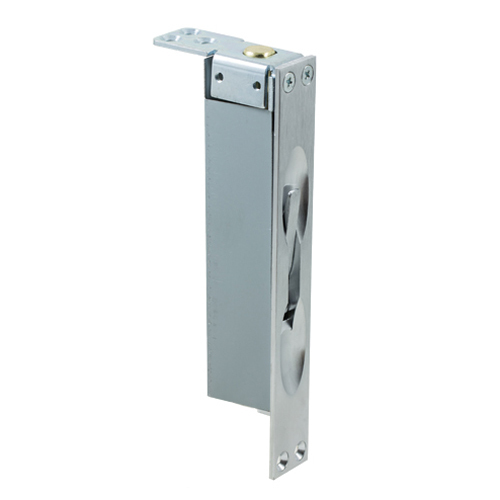 ● Features: Ease of installation, Automatic snaps-closed lever. ● Size of face: 6-3/4” (171mm) x 1” (25mm). ● Rod length: 10.5” (265mm) as standard. ● Mounting hole location: 6-1/4” (159mm). ● Bolt throw is 3/4” (19mm) with a 7/8” vertical adjustment. ● Bolt backset is 3/4” (19mm).